"Well, I'm just not artistic." I've heard that statement rather often from other homeschoolers when they talk about the lack of art in their days. Since adding in the joy of art is one of my passions, I'm here to encourage you that building this habit is not hard. 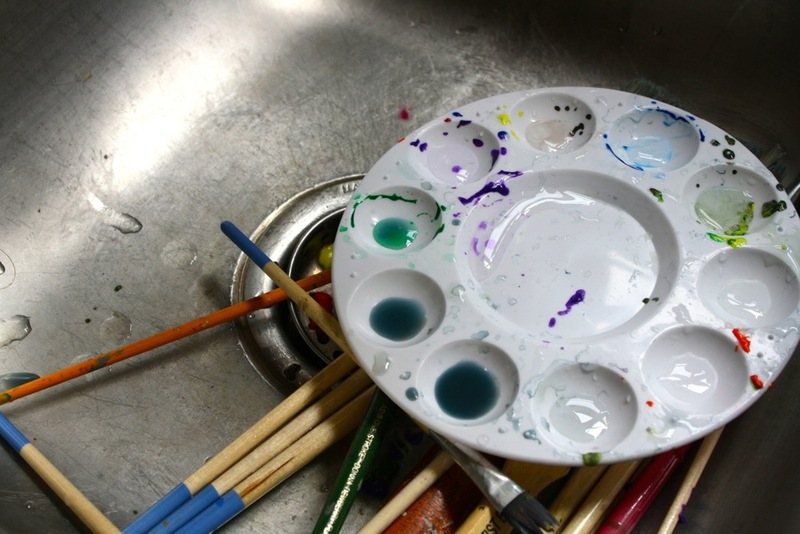 You did not have to inherit the art gene to pull out the paint brushes. Like most mothers, I really don't like messes either. And I didn't inherit my mother's natural artistic ability. However, over the last several years, my mother (Nana) has taught me and the children how to simply enjoy. She has helped grow this love for art in our homeschool. Nana teaches us in a very messy medium. 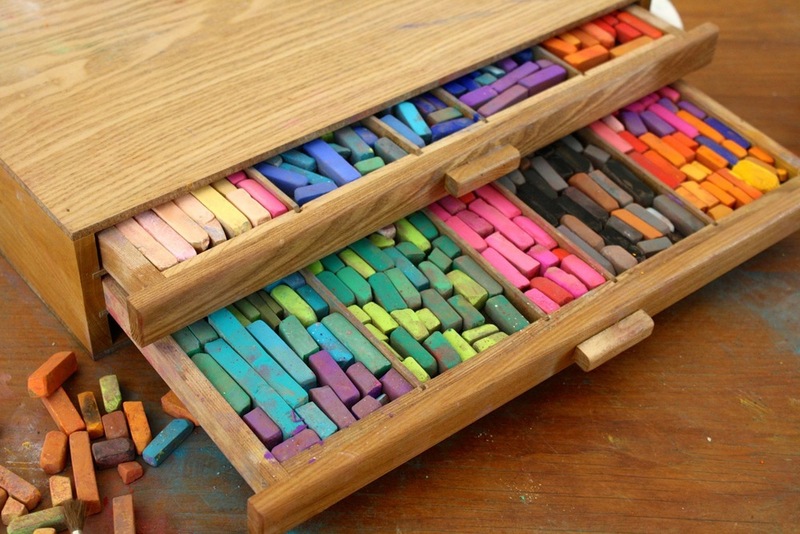 Chalk pastels. They spread, they smudge and they stain. But they are beautiful. Blessedly messy. And forgiving. If we make a mark we don't like, we simply blend it into the picture and layer another color. We are slowly adding to our stash of art supplies. Crayons and watercolors were about all we had when we started homeschooling. Based on what our children enjoy and the needs of studies, we now have markers that smell like scratch and sniff flavors, acrylics, colored pencils, tempura paints and chalk pastels. Um, and glitter. We are expanding into sculpy clay and more. For paper we often pull some from the printer tray, open our nature journals or enjoy our favorite Canson brand. Watch the sales, take your coupon and/or simply determine to make art supplies part of your curriculum expenses. Nana speaks specifically about supplies in the two posts I link to at the end of this post. Take a deep breath. Part of being free of the fear of art mess is to be prepared. Before we get started, I always have the baby wipes handy. We enjoy our art time around our kitchen table. The table is well used and easy to wipe. It's also steps away from the kitchen sink. For acrylics and other liquid paints, we use washable, plastic palattes. Nana describes the palettes and where to purchase them in Acrylics Plus Links to Tutorials. Sometimes we wear smocks. Often we just wear something we don't mind getting stained. But the art medium is not really important. What is important is growing a love of creativity. We find success by picking subjects we enjoy. Maybe a character from a children's book, a seasonal topic like pumpkins. Often our art time compliments nature study. Give the opportunity for free, unstructured art time. Our children started out with paint with water papers while they sat in a high chair. Truth be told, my almost 15-year-old enjoyed some paint with water time with her four-year-old brother just the other day. My busy Middle Girl often asks to pull out the acrylics and just paint whatever comes to mind. It is exciting for children to receive feedback on their creations. We participate in our state fair – entering art work in multiple categories. Our homeschool group sometimes holds an art and photo competition. Plus, homeschoolers everywhere are invited to participate in the quarterly Art for Homeschool online show. And don't forget that display on the family fridge goes a long way! When you grow a love of art, then further study like art appreciation and technique are much more natural. That's what we've found with our Harmony Fine Arts studies. 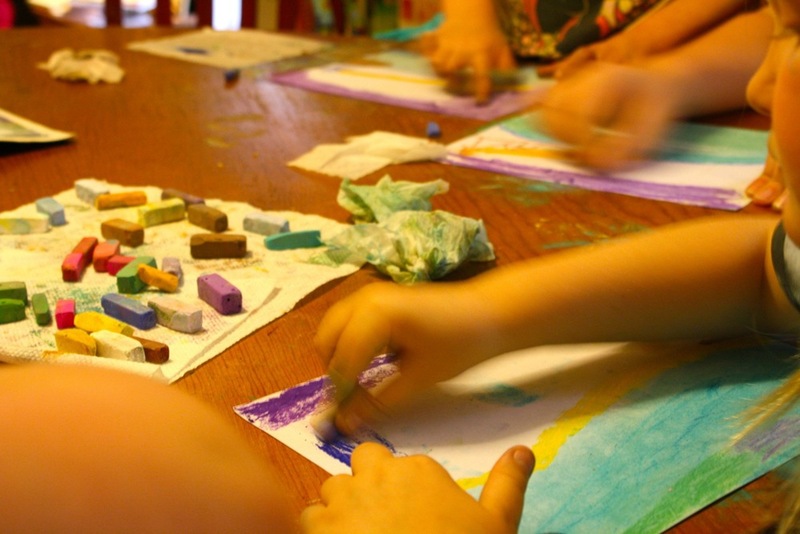 Art for Homeschool - the next deadline is August 1st! Nana continues to stop by after work and teaches us new art lessons. We share those times with you in photo tutorial form at Hodgepodge. We invite you over for currently 45 lessons in chalk pastels and four lessons in our new medium, acrylics. I hope some of these easy ways will help you add the joy of art to your days. Homeschooling for over a decade now, Tricia faces a daily dose of chaos with five children. 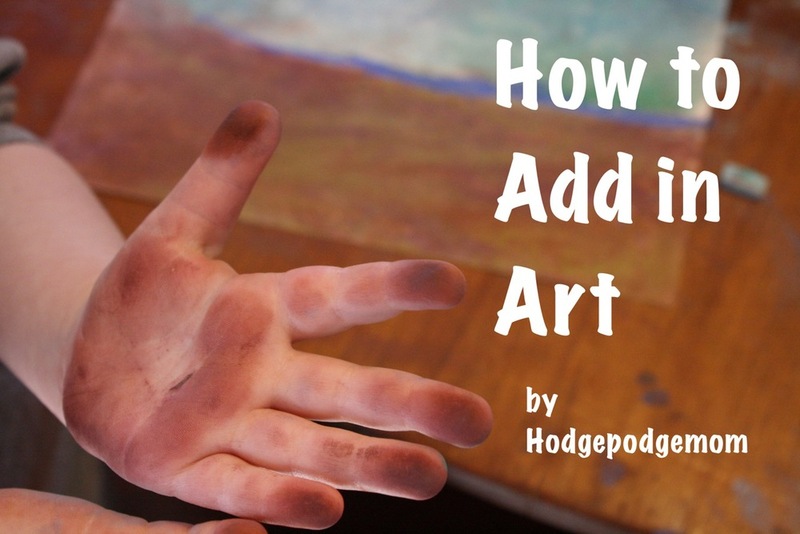 She shares a mixture of free art lessons, frugal and allergy-friendly recipes and all things practical at Hodgepodge. She and her husband, Steve are also owners and authors at Curriculum Choice and Habits for a Happy Home. Thank you to Tricia for guest posting today! 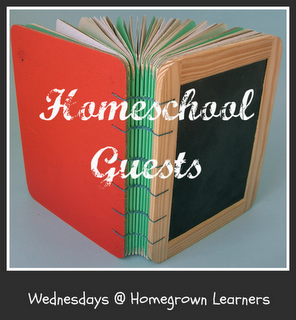 Please take a chance to read other posts from this summer's Homeschool Guest series. You will find out about notebooking, art journaling, nature study, the call to homeschool, Five in a Row, and much more! What fun we've had. Next week you will hear from a homeschool mom that is also a published author of a children's book!